Happy Wednesday Everyone! I'm still getting back to my normal routine from getting back from our amazing trip to Miami! We had such a fun time visiting and I'm excited to share all the details with you guys! We drove to Miami on Friday and for the most part missed rush hour traffic...for the MOST part lol! 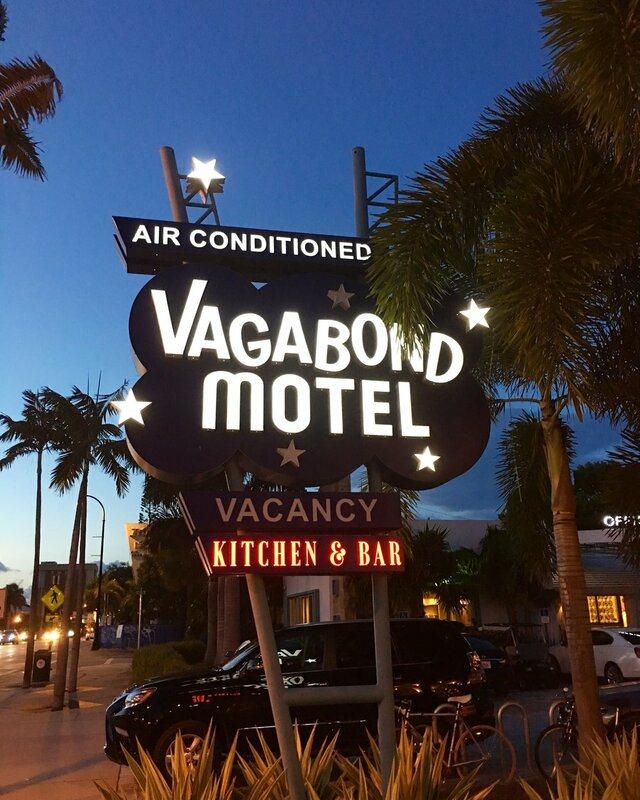 Once we checked into our hotel we immediately got ready to go to happy hour at a retro place I found called Vagabond Kitchen & Bar that is part of a motel! Guys! This place was probably my favorite place of the entire trip! The drinks and food were absolutely amazing! The menu is simple and clean the food is impeccable paired with the craft cocktails this place is a must when visiting Miami! Also the decor in this place is like none other, it's like something out of a movie, very retro chic! Seriously so good! Below is some of the food which included truffle fries, croque monsieur, and goat cheese croquetas! Also how awesome is the interior of this place?! So cool! 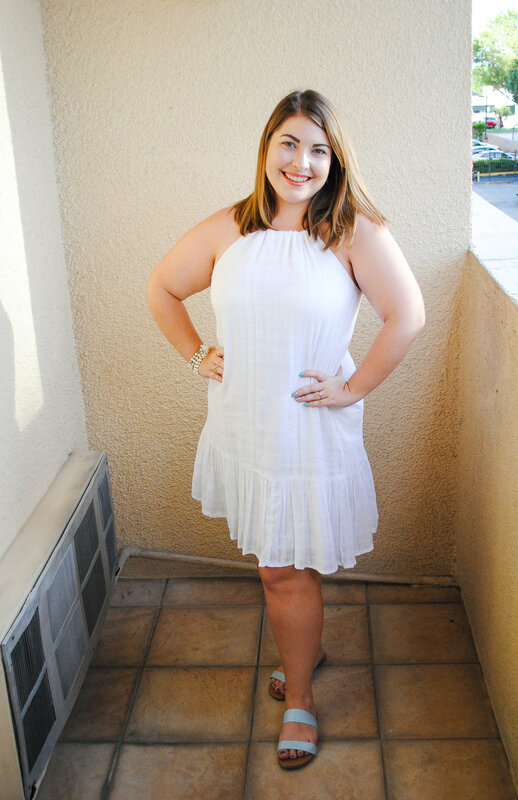 Below that you will find my light and airy outfit from happy hour and can shop the look as well! Saturday was our South Beach day of course! We hit the News Cafe for brunch before hitting the beach! This place is so fun and right across from South Beach! The food was delicious and it's a popular place for locals and another must if you're just visiting the area! Below you can find some of the food and details from this fun restaurant! 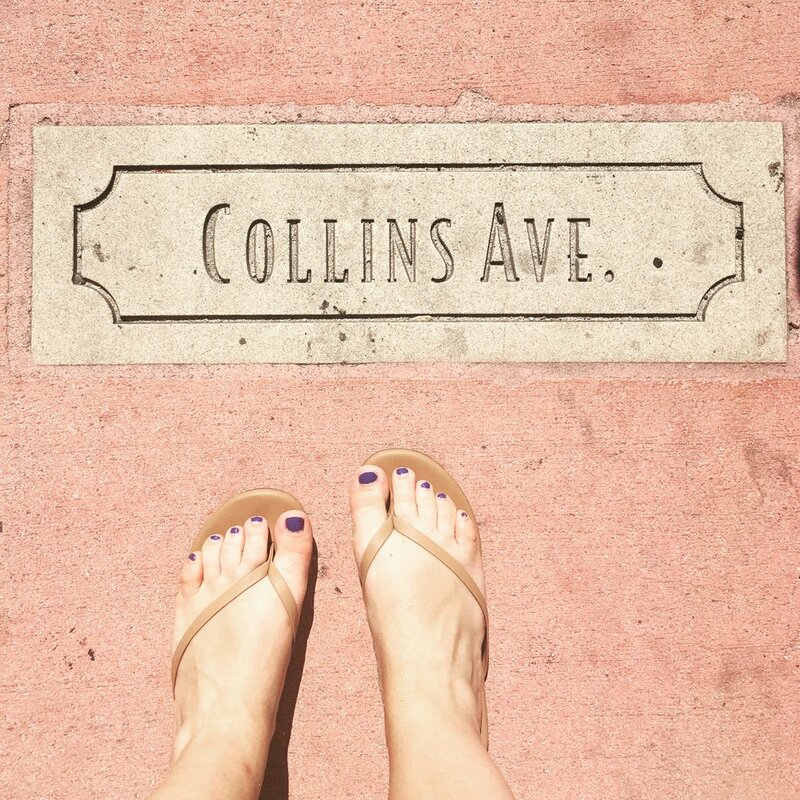 After brunch and the beach we hit Wet Willies for a cold daiquiri before walking around Collin's Ave and Lincoln Rd. Later that evening we got take out from another cool place, Crust! Super yummy pizza and great price point! Needless to say Saturday was a blast! Sunday Funday consisted of the Dodgers vs. Marlins game! We were representing the LA Dodgers! Go Dodgers go! The last time I went to a baseball game I'm pretty sure I was 10 and had no idea what the point of this game was! Needless to say I still don't understand all the rules but it was really cool to be pretty close to the field and watch the game! You can't go wrong with a hot dog and a baseball game on a Sunday, right?! It was a pretty cool and fun experience! My outfit was a pretty standard comfortable and blue of course pairing to represent our team that of course WON! Shop my look below!